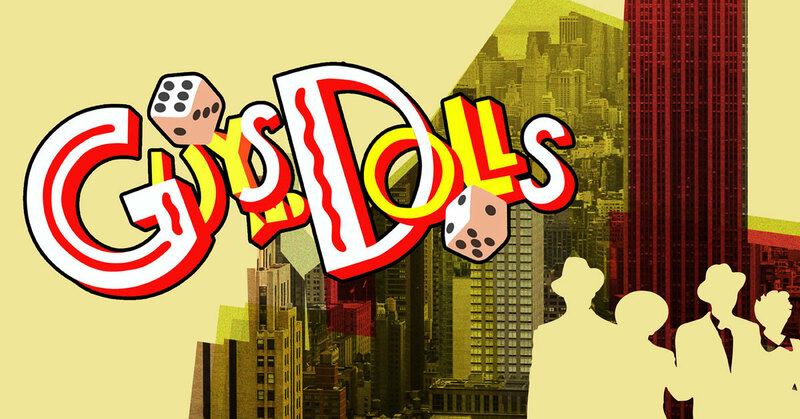 Urbandale Community Theatre’s summer 2017 production of ‘Guys and Dolls’ has received 5 Cloris Award nominations including Best Musical. Nominees for the 2017 Cloris Leachman Excellence in Theatre Arts Awards were announced Thursday in a ceremony at the Des Moines Social Club. The event was co-hosted by Dani Boal who starred as Sarah Brown in ‘Guys and Dolls’. In addition to its nomination for Best Musical, four ‘Guys and Dolls’ volunteer actors also received nominations. Both Dani Boal and Allyson Martens received nominations for Best Performance for an Actress in a Leading Role (musical) for their roles as Sarah Brown and Adelaide, respectively. Michael Boal received a nomination for Best Performance by an Actor in a Leading Role (musical) for his portrayal of Sky Masterson. And Greg Millar was nominated for Best Performance by an Actor in a Supporting Role (musical) for his turn as Nicely Nicely Johnson. A total of 42 productions at 13 theatre companies in and around the Des Moines area were recognized, putting Urbandale Community Theatre in good company with other well-respected organizations. Nominees will find out the winners in each of the 19 categories at the Cloris Awards ceremony later this month. Urbandale Community Theatre would like to wish all the productions, actors, and crew luck in their well-deserved nominations. The Cloris Awards ceremony will be held at Hoyt Sherman Place on August 27th at 6:30 p.m. Tickets are $25 and are on sale at hoytsherman.org.